In our previous post, The Northern Wanderer Returns, we learn about the migration of the king of all butterflies, the Monarch. We see the amazing spectacle near the city of Angangueo, Mexico. 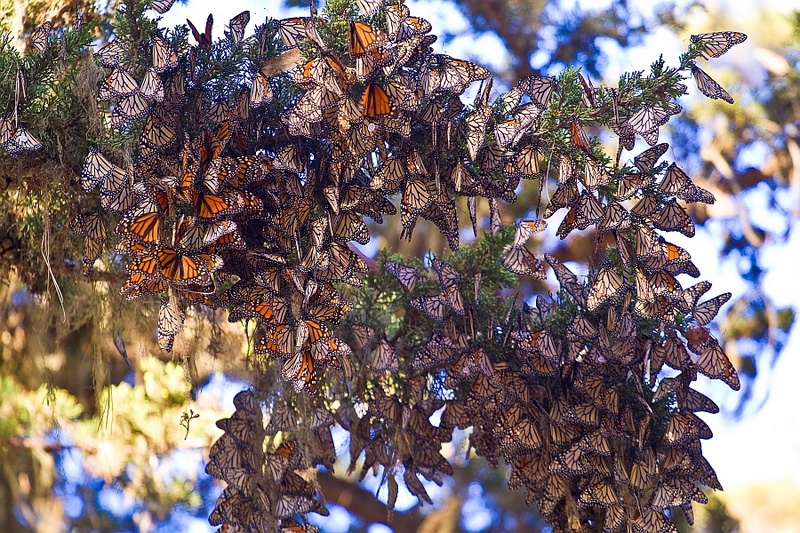 In 2010-2011 season, the Rosario Monarch Butterfly Sanctuary received 150 million flying visitors that engulfed the city with color. Research suggest that migrating butterflies have an “inner clock” much like a navigation device, while using the position of the sun to navigate the sky. This is how they arrive to the Oyamel [o-ee-ya-mel] forest sanctuary each year and return home without stoping to ask for directions. Amazing! After months of hibernation, female monarchs have an important responsibility to do as they journey back home across countries. They will lay over 400+ small eggs underneath the leaves of milkweed plants. These leaves will allow their eggs to hatch, eat and continue the life cycle once more. There are 4 stages in a butterfly’s life cycle. Each stage is unique with a different set of goals. The caterpillar stage is a great example to study. During this stage these bugs need to eat large amounts of food in order for rapid growth to happen. This allows them to be ready for their next metamorphosis. PDF: BUTTERFLY LIFE CYCLE from Earth’s Birthday Project site. Read the PDF: Butterfly Life Cycle and name the stages of a butterfly. How many days does each butterfly stage require? Which stage do you believe is the most unique to learn? Why?